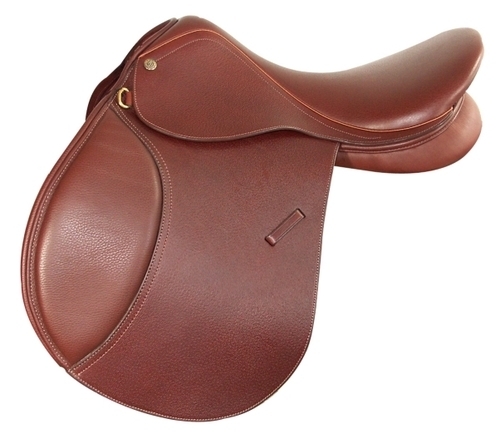 Sizes 17", 17.5", 18", 19"
Matching Thornhill leathers included when you buy this saddle today! 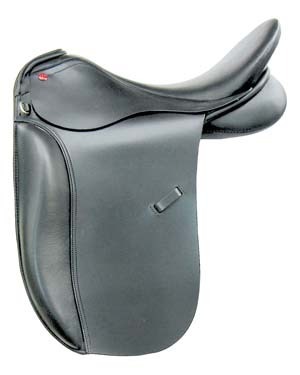 That's right...a $79.00+ value when you purchase this saddle. 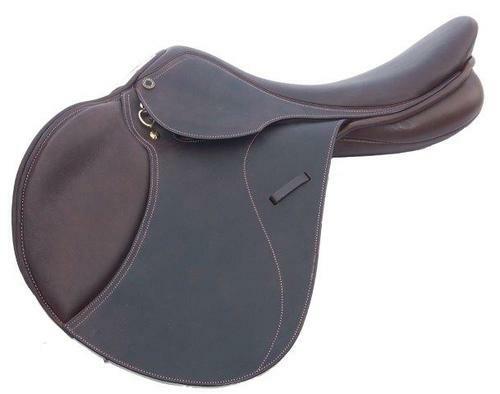 This beautiful saddle is from the Germania line consisting of renowned German products, modified by a German saddler, with the help and input of top American riders. 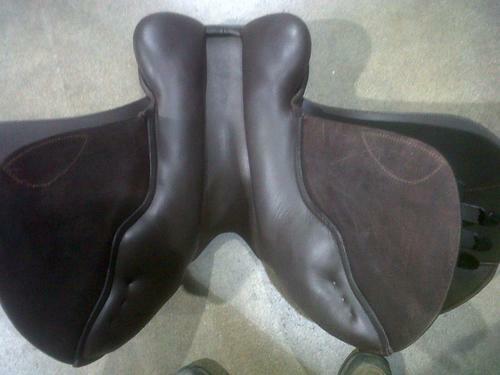 This particular saddle is made in Germany of oil pulled leather with a "sticky" nubuck seat and knee pads. No more sliding around! Incredible comfort your very first ride. No need to break this saddle in. We call it the "feel good saddle"!! You will be impressed from the very first time you sit on it. Longer, forward flaps make it ideal for jumping and eventing and a great fit for longer legs or those that prefer to ride "short". Ideal for the show ring or pleasure as well. Narrower twist, wool flocked panels, rich dark coloring. 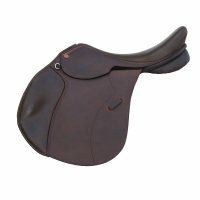 "As well as being a retailer, my children and I have been riding and showing exclusively in Thornhill saddles for the last 16 years, and I love the superb quality, craftsmanship, and balanced design that these saddles offer."